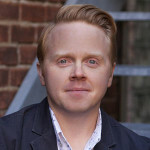 Here at Roasty, we’re working hard to fight the culture of convenience that’s driven people away from mindfully prepared coffee and toward the quick-n-easy K-cup scene. That doesn’t mean there isn’t room for a time-saving device, as long as it doesn’t detract from the integrity of the brew! 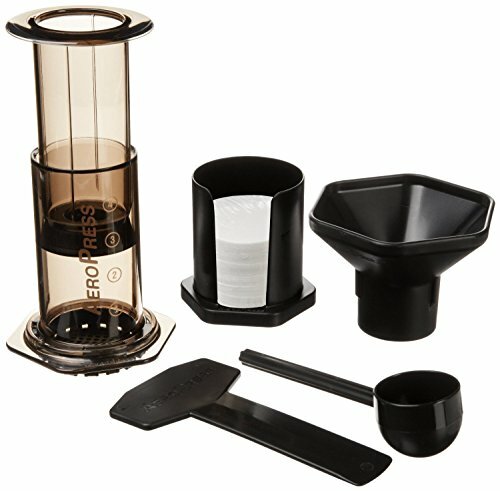 The AeroPress is perfect for a great cup of coffee that’s prepared relatively quickly and leaves little mess to clean up after. It’s not ideal for groups or marathon caffeinating sessions (it only makes a cup at a time) but it’s the most convenient way to have a quality coffee without turning to your local barista. Most importantly, it makes the coffee well, without sacrificing much by way of flavor or body. Heat the water to 185 degrees F (85 C), or just boil it, removing for 30 seconds after for roughly the ideal temperature. NOTE: I’ve mentioned on this site that the perfect water temperature for brewing coffee is 205 degrees F (96 C) and that still holds true. However, with an Aeropress, you can play with any temperature between 185 – 205 degrees F (85 – 96 C). While the water’s heating, grind your beans to a fine consistency, until you have 2 tablespoons or about 30 grams. Put a filter in the drain cap and rinse with hot water. Then put the cap on the AeroPress and place it directly onto the mug or tumbler you’ll be drinking from. Make sure it’s a sturdy cup, because you’ll be putting a little pressure on it. When the water is ready, put the coffee into the AeroPress. Pour the water in and give it a quick stir (using the stirrer provided). Wait 30 seconds, then slowly plunge with only the weight of your hand. The finer the grind of your coffee, the longer the plunging will take- but it’s worth every second. The AeroPress filter allows for a finer grind, which produces a stronger, fuller coffee. Once the plunger is fully depressed, remove the press. Tip: For milder Americano style coffee, add more water. For stronger coffee, drink it as is. Alternately, you can use the inverted method. Simply flip the AeroPress so that the filter/cap side is facing up, with the plunger on the bottom. Add coffee and water, then stir. 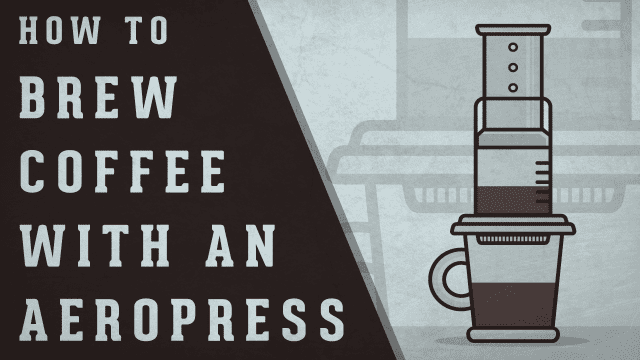 After 30 seconds, place the cap and filter on, flip it over onto the mug, and press in the usual way. 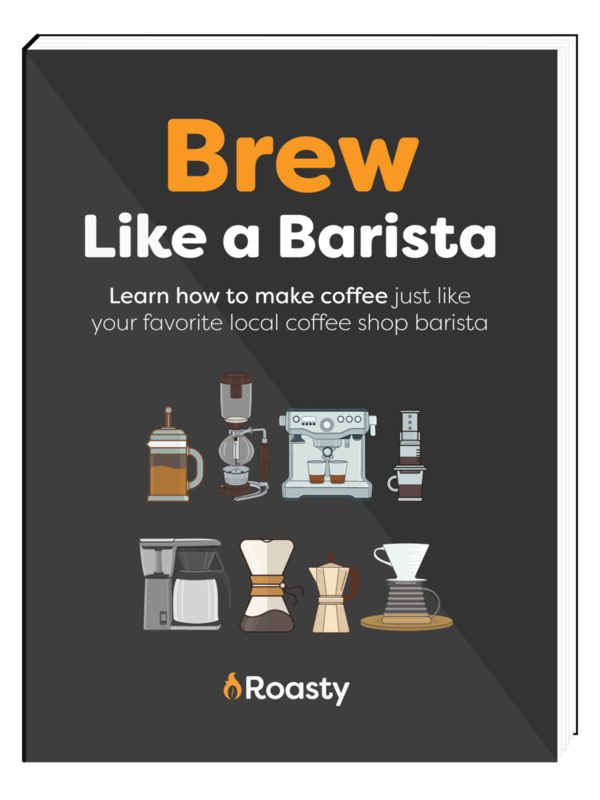 I first learned about this method in a highly recommended book on coffee called The World Atlas of Coffee. After I tried it for myself, I actually prefer to make coffee this way. The method combines the full extraction of the long-steeping French Press with the filtering and airtight straining of the AeroPress. However, it’s a bit tricky and could cause a big, burning hot mess if not executed carefully. I recommend using a lighter mug since you’ll be placing in upside down on top of the AeroPress. The real magic is in the carefully switch performance of flipping both the mug and the AeroPress in one fluid motion. Once you try it, you’ll see that’s it’s pretty easy to do. The coffee will have more body and flavor. Steeping times are the same as the French Press. Try blooming for one minute and steeping for three. Of course, try different times to see what you like best. Stop plunging once it starts hissing. It’ll be smoother that way. Cleanup is a breeze. Simply remove the drain cap and depress the plunger over your trash or compost to pop out the grounds. Rinse everything with hot water, and call it a day. The AeroPress is a great compromise between devotion to quality coffee and the need for speed that we all face from time to time. When you’re in a bit of a rush, you can’t do better than an AeroPress at home- beats the hell out of the vending machine, anyway. Theses 10 ways to keep your coffee hot for ages will help you keep your coffee warm so you never have to take a drink of a cold cup of coffee again.